from Atlantic City, New Jersey to Astoria, Oregon) intersect in Schererville. 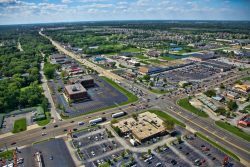 Today, the dynamic town offers a variety of recreation, shopping and dining opportunities. Hungry guests will have a list of choices from ethnic cuisine to traditional American meals. Illiana Motor Speedway provides a jolt of excitement during the stock car racing events. Opened in 2012, Jak’s Warehouse is ideal for family fun, located in the old Blade and Skate of Omni, Jak’s warehouse offers 10 popular attractions from go karts and rock climbing to laser tag and bumper cars. The Schererville Soccer Club provides a soccer environment for boys and girls ages 4–17 (U6 through REC Plus.) There is also Tri-Town Football for ages going all the way to 15 or 16 years of age. Howl at the Moon is the country’s biggest name in Dueling Piano entertainment. Howl2GO delivers our amazing, high energy show to any venue in the Schererville area. When you bring Howl2GO to Schererville, you can be certain you’re getting the true Howl at the Moon experience, and with that comes the assurance you are booking only the best dueling piano performers in the country. Our fun, energetic performers are perfect for all events anywhere in the Schererville area. Howl2GO provides all the production you need to make your event look and sound amazing. We have top of the range PA sound systems and custom built lighting shows that you will not see anywhere else. Our competition simply does not begin to come close to our production! We also supply our custom built electric baby grand pianos that can be transported into any size or shape venue in the Schererville area. Regardless of how many guests you’re expecting, from 20 to 2000, we have you covered! We specialize in all types of events, anywhere in the Schererville area company parties, wedding receptions, charity fundraisers or house parties are all made more fun by bringing Howl2GO by Howl at the Moon. We tailor every single show to you and your guests, playing music for all ages. Fundraising for churches, schools or your chosen cause is perfect for our show – plus advertising that you have Howl at the Moon performing is a huge draw in the Schererville community. Howl2GO is the only dedicated Dueling Pianos company in Schererville and our team works tirelessly to ensure your event is perfect. Our production team will deal directly with your Schererville venue and, in conjunction with our Wedding Specialist, sales director and our amazing piano players, create a customized event just for you. Our Howl at the Moon musicians will take you guests’ requests live just as they do in one of our many nationwide venues. 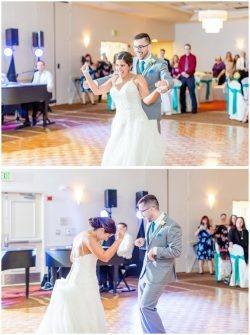 We are a perfect choice for your wedding – we keep numerous couples in Schererville and their guests dancing all night, as well as taking care of all your ceremony, announcements and special family dance needs. Don’t risk booking a local fly-by-night company that may not even still be in business when your wedding date comes around, nor one that hires freelance players. Howl at the Moon has been rocking since 1990 and our reputation precedes us. We have a dedicated reviews page so you can read testimonials from hundreds of our thrilled clients in Schererville. Our Facebook page features regular updates, and following us on Instagram and Twitter means you’ll stay up to date on where we’re playing next near Schererville IN.